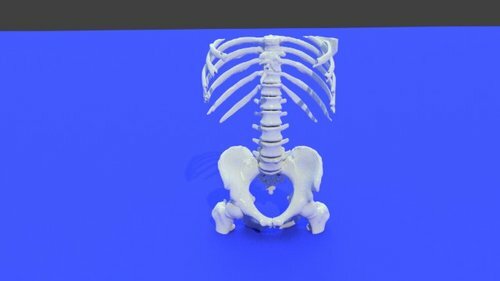 This model shows segment of the heart, the aorta and sacro-iliac joints. 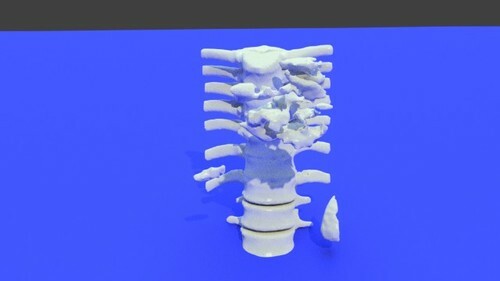 Oval shaped vertebral bodies with wide vertebral arch, large vertebral foramina and long spinous processes. 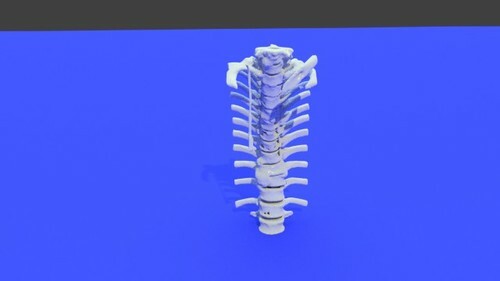 The dorsal (thoracic) spine forms the middle portion of the vertebral column extending below the seventh cervical vertebra to above the first lumbar vertebra. 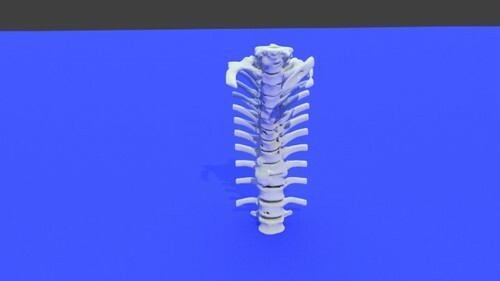 The dorsal spine is formed by twelve vertebral bodies. 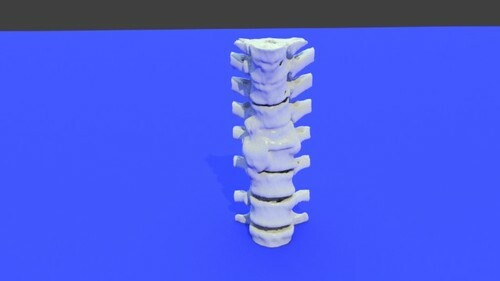 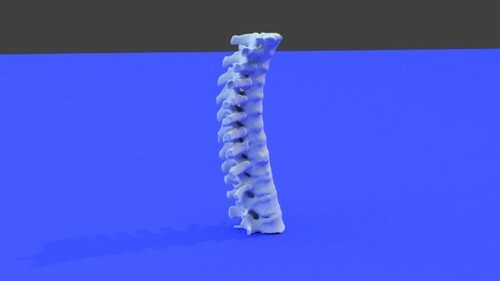 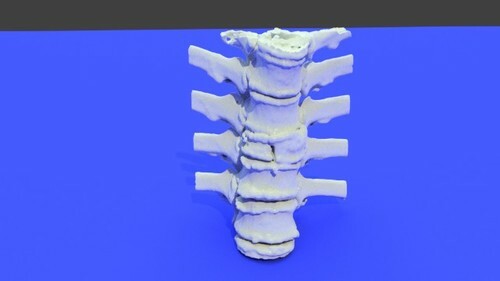 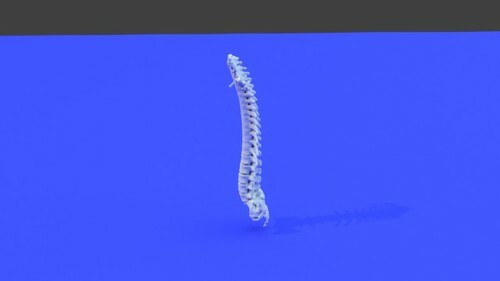 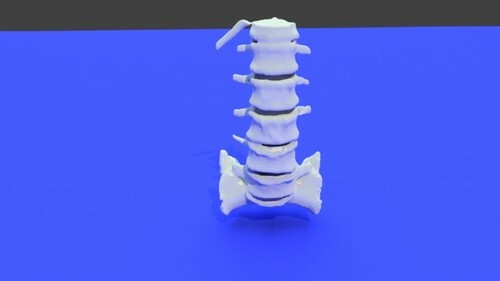 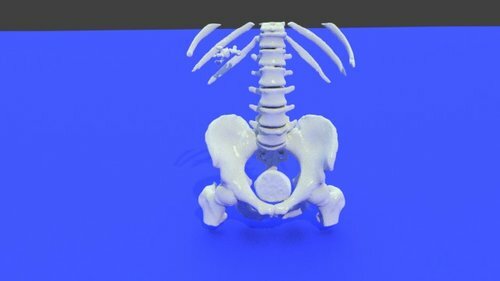 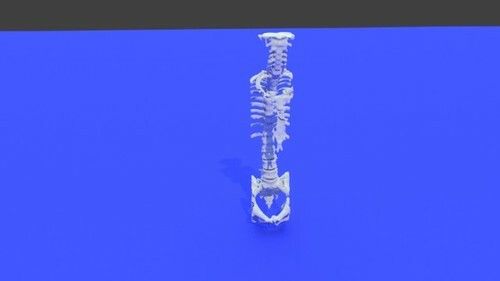 This is a 3D printable STL model of the entire spinal column, including cervical, thoracic, and lumbar regions derived from a CT scan. 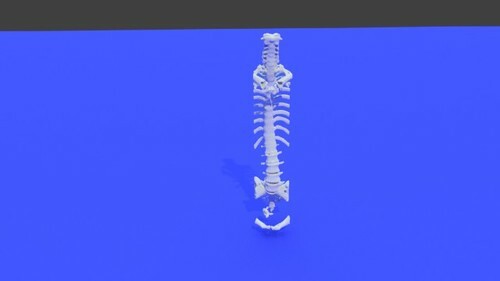 STS_003. 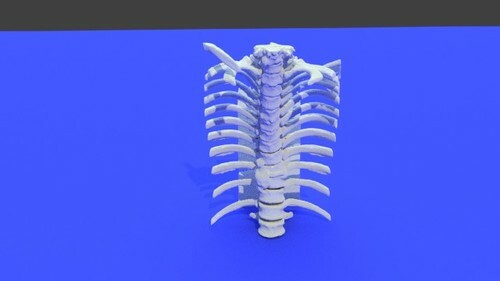 This model was created using the democratiz3D service. 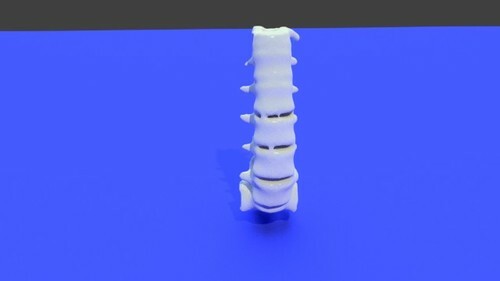 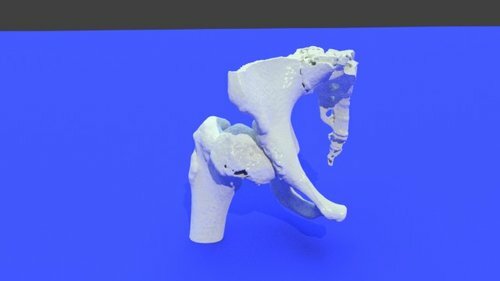 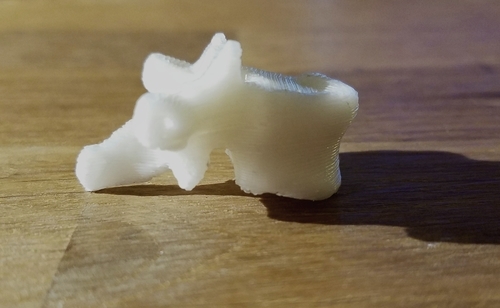 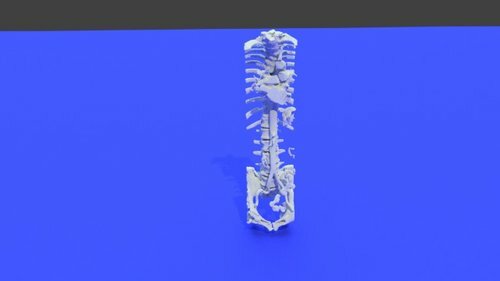 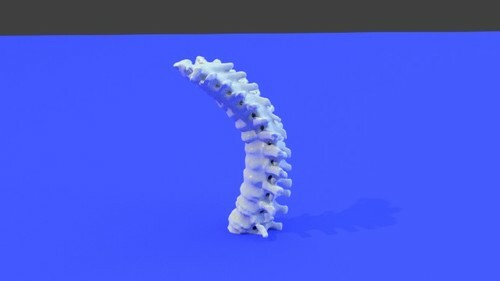 This 3D printable STL model of the thoracic spine shows notable kyphosis (hunchback deformity) and was derived from a CT scan. 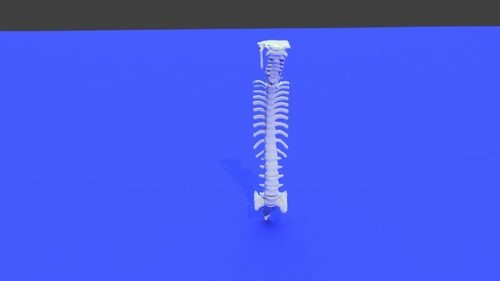 STS_002. 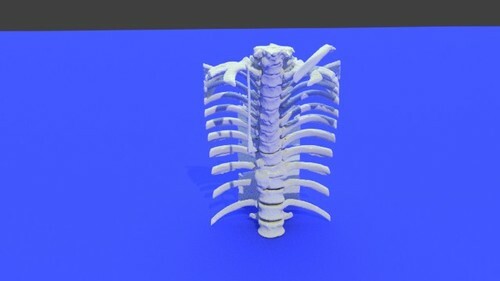 This model was created using the democratiz3D service.